Really enjoy it so far! The unique character design, good music and interesting plot is highly addictive. This anime feels a little like a combination of "Lovely complex" and "Nana", so if you, like me, loved those you might like this one. Craving more after every episode which rarely happens to me. OMG this anime is great the music pulls you in and makes you want to watch more episodes that you wanted to. I ended up staying up till 6:00 am because I couldn't stop watching it. 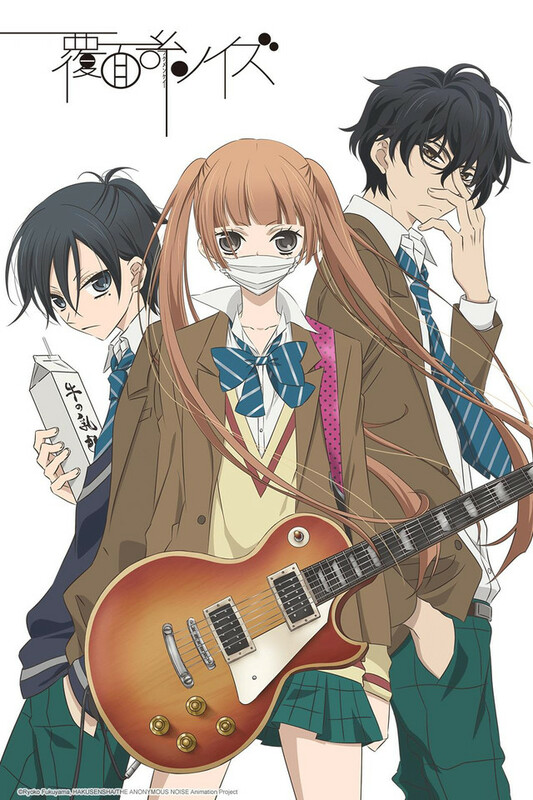 I recommend this anime to anyone who likes music and really hope that there will be a season 2. I was lucky enough to watch Anonymous Voice on another site here in the US. It's an excellent anime. After watching, I read the series v. 1-6 (which the anime covers) and re-watched the anime again. The music in the anime is crucial to enjoying the novels to their fullest. Great character development, love twists, teenage drama, and plenty of suspense to keep the reader wanting more.